Found in the Chinese Himalayas, Cambodia, Vietnam, Thailand, Malaysia, Java, Sumatra and Borneo in swampy primary montane forests on mangrove and coffee plants at elevations of 150 to 1600 meters as a small sized, hot to cool growing epiphyte with creeping, radiating, flattened roots that blooms on a sessile, .4" [1 cm] long, fractiflex rachis, brown-green,covered with tuburcles many successively flowered inflorescence with two ranked, triangular, acute, very concave, warty floral bracts carrying thin, wide open flowers. 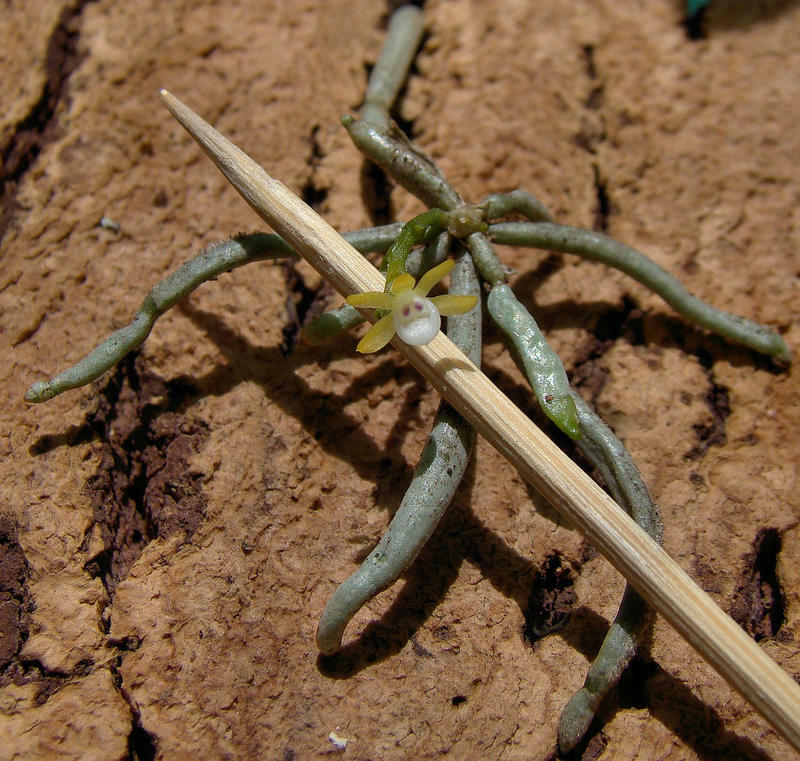 CAUTION Kew gives this name as a synonym of Chiloschista pusillum, I feel that there are 2 species here. 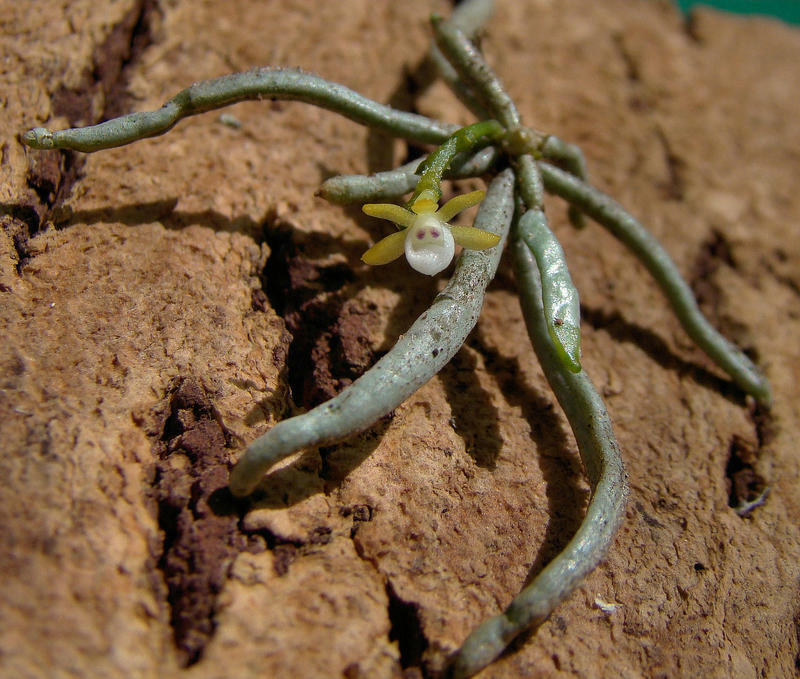 This one is definitely a Taeniophyllum and the other is definitely a Chiloschista, I believe that Schlechter could not possibly have called this plant a Chiloschista as it is successively single flowered and the flower does not come even close to a Chiloschista in form.